Sgt. 1st Class David Nunez, 27, was killed in action on May 29, while conducting combat operations in south-west Farah Province, Afghanistan, while serving with ODA 7326 of Company B, 3rd Battalion, 7th Special Forces Group (Airborne). He deployed in support of Operation Enduring Freedom in May 2008 as a member of the Combined Joint Special Operations Task Force – Afghanistan. This was his third deployment in support of the Global War on Terror and his second deployment to Afghanistan. 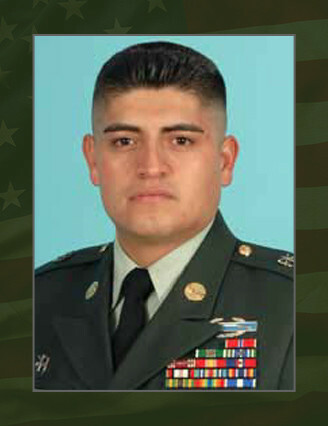 Nunez, a native of Mexico, volunteered for military service and entered the Army in February 1999 as an Airborne Infantryman. He was initially assigned as an assistant team leader with 3rd Battalion, 504th Parachute Infantry Regiment, 82nd Airborne Division, Ft. Bragg, N.C., then as a team leader with Company D, 519th Military Intelligence Company’s Long Range Surveillance Detachment. In 2005 he earned the coveted “Green Beret” and was assigned to 3rd Bn., 7th SFG(A) at Fort Bragg, N.C., in August 2005. Nunez’s military education includes; the Advance Noncommissioned Officer Course, Survival, Evasion, Resistance and Escape Course, Basic Airborne Course, Jumpmaster Course, Ranger Course, Warrior Leaders Course, Basic Noncommissioned Officer’s Course, Long Range Reconnaissance Course, Special Forces Qualification Course. His awards and decorations includes the Bronze Star Medal, three Army Commendation Medals, three Army Achievement Medals, three Army Good Conduct Medals, National Defense Service Medal, Kosovo Campaign Medal with Bronze Service Star, Afghanistan Campaign Medal, Iraq Campaign Medal, Global War on Terrorism Expeditionary Medal, Global War on Terrorism Service Medal, two Noncommissioned Officer Professional Development Ribbons, Army Service Ribbon, NATO Medal, Combat Infantryman Badge, Expert Infantryman Badge, Parachutist Badge, Ranger Tab, and the Special Forces Tab. Nunez is survived by his sons, David Jr. and Julian, of Raeford, N.C.; father, Julian Nunez, of Raeford, N.C.; and mother, Silvia Nunez, of Los Angeles, Calif.